When you’re an adult, losing a tooth can be an upsetting experience, no matter how it happens. 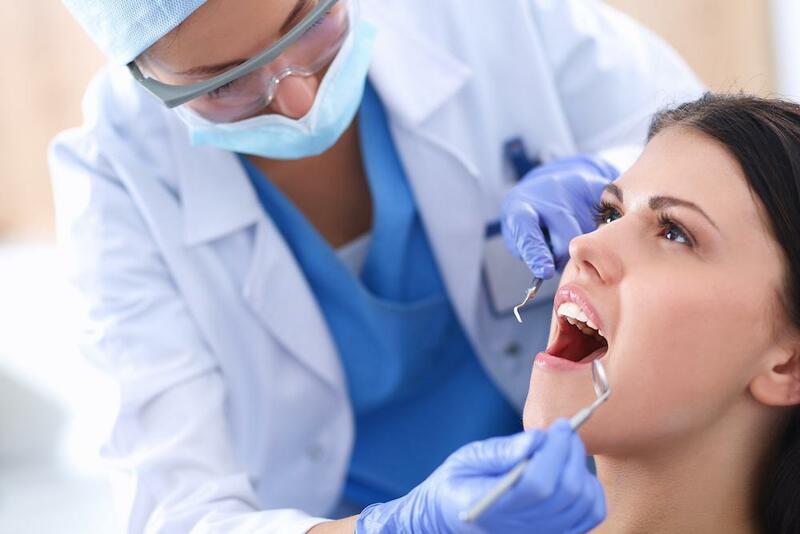 Teeth that are knocked out during an accident can sometimes be replanted. 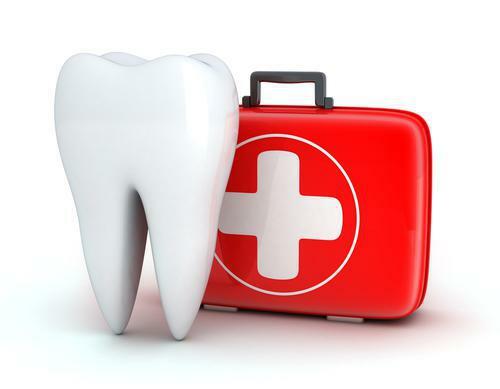 But when a tooth is badly damaged by decay, disease or trauma, you need another solution. Dentures and bridges are the traditional choices, simply because they’ve been around the longest. But today, dental implants provide another alternative, and as it turns out, they are a really popular option for most men and women. Dental implants are comprised of three different parts. The implant itself is a very sturdy titanium post. Titanium is the same metal used for many joint replacements and other implant surgeries, chosen because it’s biocompatible, which means it won’t cause irritation or other problems inside your body. The post is attached to the second part, called an “abutment.” The abutment serves as a connection between the post and the third part, which is the artificial tooth (or crown). The implant post is placed in your jawbone, where it acts like a kind of artificial tooth root. Once the post is in place, your jawbone is given some time to fuse with the post, a process called osseointegration. After the post is stabilized in the bone, the abutment is attached, and finally, the crown is attached to the abutment. Most implants are placed over the course of three office visits. Dental implants are popular for several reasons. First, since they’re attached to the jawbone, they’re very secure. Unlike dentures that can slip and cause sore spots, dental implants stay put whether you’re talking, laughing, sneezing, and eating. This factor alone is one of the biggest reasons why so many people prefer implants to dentures. Implants are also very easy to care for. 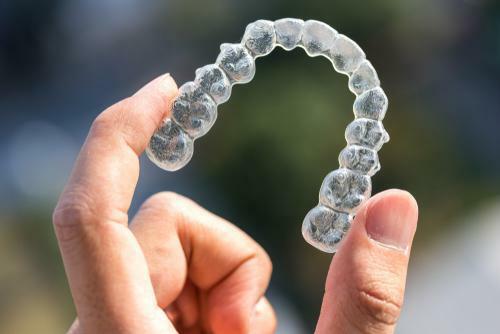 In fact, you’ll care for your implant the same way you care for your natural teeth, with regular brushing, flossing, and routine dental cleanings. While the crown itself can’t decay, the gums that support the implant can still become infected, just like the gums around your natural teeth. But there’s no special care required. Compare that to fixed bridges that can be very difficult to clean around and under. The third benefit: Dental implants just feel and look more natural. Implants are designed like a natural tooth, which means they also function like a natural tooth. An implant can help you not only feel more confident about your appearance, it can also give you the ability to eat foods normally, without worrying about damaging a bridge or getting food stuck under a denture plate. And, finally, thanks to the way implants are designed, they can actually help prevent the bone atrophy that can cause additional tooth loss. How? Your jawbone is constantly replenishing itself. Old, worn bone cells are replaced by new, healthy cells to keep your bone in good shape. But that bone replenishment cycle depends on the stimulation of your tooth root to stay active. Once the tooth root is gone, the cycle stops, and your jawbone starts to become thin. That means the tooth roots on either side of the gap can start to weaken and loosen, significantly increasing the risk those teeth will fall out again. Your implant post acts like the natural root to stimulate the bone replacement cycle and help prevent bone atrophy, so neighboring tooth roots remain secure. Dentures and bridges sit on top of the gum, so they can’t contribute to that bone replacement cycle. With so many benefits, is it any wonder implants are the top choice for replacing missing teeth? At Lowes Island Dentistry, we use the most advanced dental implant technology so you can enjoy implants that look and feel natural, fit securely and are designed to last as long as your natural teeth. To learn more about our implant process and how dental implants can help improve your oral health (not to mention your self-confidence), book an appointment online today.